Maidens Hotel is the ideal base for Heritage walks of Delhi. The walks are conducted by Ms. Surekha Narain, a die-hard Dilliwalla with a reputation for leading specialized heritage tours that are imaginative and creative. There are over 30 walk routes to choose from. Ranging from regular walks to some “off-the-beaten-track tours”, the Heritage Walks are a blend of built & natural heritage. Add-ons include music, local cuisines, and movies. The walks come with visual aids - old maps, photos, and there’s a chance to interact with local people. Travel partly by Delhi Metro, partly on foot, and maybe by auto or cycle rickshaw. Sultanate Delhi Tour - This half day (4-6 hours) tour is the best introduction to the city - Qutb Minar and around. Unearth layers of history and learn about architectural features of different time periods all in one place. Time permitting, we also visit country homes of the British Resident and Mughal Emperor and a Sufi Shrine in Mehrauli village and walk to the Archeological Park for birds, trees & butterflies. Mughal Delhi tour - A full day tour (6-8 hours), in which we visit the most popular, 7th city of Delhi - Shahjahanabad. Starting with a spiritual tour in Chandni Chowk, we visit the Sikh, Hindu & Jain temples to compare the forms of meditation & offering. Then we visit Red Fort to learn the about the common architectural features of a Mughal Palace. Thereafter, we walk the narrow alleys to reach Jama Masjid. Time permitting we visit the Bazaars. Sufi Delhi - A half day (4-6 hours) tour of Humayun's Tomb to learn why the Mughal emperor was buried in this particular location. Discover the critical importance of the Sufi saint Nizamuddin Auliya - whose shrine we will visit by walking the narrow alleys of Nizamuddin basti. British Delhi - A half to full day tour to compare and contrast the buildings of 1911 British Delhi in Civil Lines and 1931 New Delhi - Lutyens Zone. At times we can obtain permission to see the Rashtrapati Bhavan (President's House), subject to security clearances. Delhi University North Campus - A half day tour to discover the prestigious Delhi University and its oldest colleges. This walk is also a treat for the old students to rediscover their past. Chandni Chowk - Havelis & hidden gems in Dharmpura, Sitaram Bazar, Turkman, Ajmeri gate, Fatehpuri Masjid, traces of the poet Ghalib in Shahjahanabad. Meander through colourful bazaars, see the people at work and sample local foods. North Delhi - Mughal gardens- Shalimar & Roshanara, Coronation Park, Tibetan settlements & historic Jain, Hindu & Sikh temples, St. James Church, interesting Mutiny sites - all hidden in the Northern Ridge, Civil lines & Kashmiri Gate. Visit to some of the 7 cities - Tughlakabad, Firoz Shah Kotla for the Djinns, and Jahapanah around the Saket malls. Mutiny Part A: Badli Ki Serai and Northern Ridge. The full story of the Mutiny in Delhi in 1857 is explored in 2-half day walks to cover most of the sites. In Part A, we travel on the metro to find out about the events of 8 June 1857 in Badli Ki Serai. We will find relics of the past on the Northern Ridge, be that Chaurbuja (important pickets for British but originally built by Firozshah Tughlaq) or the Ashokan Pillar (brought by Firozshah Tughaq from Meerut) or the contradictory plaques of the British and Indian governments at the Mutiny Memorial, Ajitgarh. See how the diverse points of view are expressed side by side - so typical of the multifaceted Indian story! Mutiny Part B: Kashmiri Gate and Civil Lines: We continue the Mutiny story by exploring more sites in Kashmiri Gate and Civil Lines. Old cemeteries, churches, ammunition stores and the famous British names associated with them complete our tale of India's first war of Independence. 1911 British Delhi in Civil Lines: Here we visit sites of the temporary British Capital, all in and around Civil Lines. We hear the stories of the Durbars. All this and more before New Delhi ever existed. 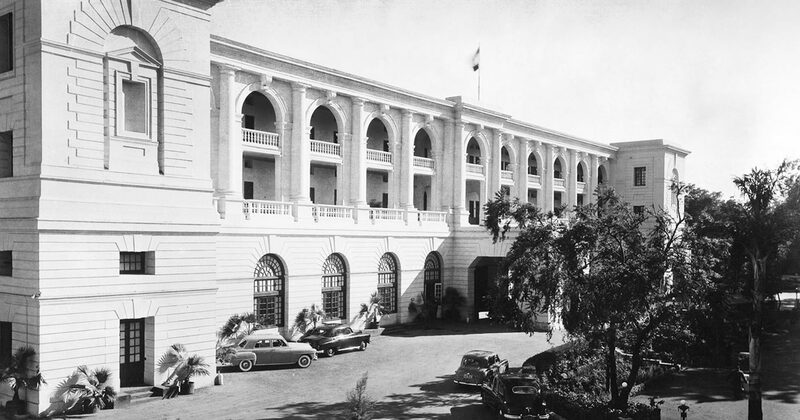 Where did the Viceroy stay before Rashtrapati Bhavan was made? Where was the Parliament housed before Parliament House was built? This is the story of British Delhi between 1911 and 1931. 1931 British Delhi around India Gate:Here we explore the sites associated with New Delhi - the British Capital From 1931-47. Which architects played an important role in the making of the capital? Is Rashtrapati Bhavan the largest residential palace of a President? Meerut for the Mutiny:To complete the story of the British in Delhi we explore mutiny sites, churches, cemeteries and other sites in Meerut. We even visit Begum Samroo's church and palace in Sardhana. Popular walk options and British Raj in Delhi tours are offered as private and customized tours to suit individuals. Ms. Narain also offers Group walks on weekends and other weekdays. The current month's week-end walks are available at the Maidens Hotel Reception Desk. These tours can also be customized as Private Walks for you. The tailor-made, half to full day tours may be booked in advance for any weekday or weekend, subject to our walk expert’s availability. Write to us with your preference of walk routes, date & timings and number of participants and leave the personalized tailoring to our walk expert. Exclusive walks around Maidens Hotel is offered on each Wednesday morning. After an early breakfast, set out for these 2-3 hours group walks to discover the interesting sites around Maidens Hotel. Registrations open a week in advance. Book your tour with the Reception Desk. Write to us at concierge@maidenshotel.com to book a walk.